Patricia Frehlich pursues an extensive and versatile career as a musician and has built a solid reputation as a sensitive and accomplished teacher. 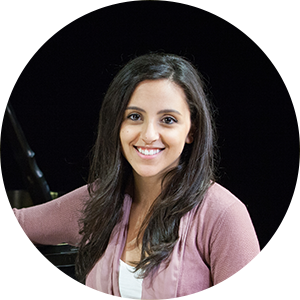 As an independent music teacher, she works successfully with all levels and ages of students. Known as an inspiring educator who fosters keenness and curiosity in her students, her students frequently win awards, scholarships and medals by consistently achieving high results in examinations and have been accepted into post-secondary institutions for further studies. Patricia is currently an examiner for Conservatory Canada, has participated in teacher training in China and is the Chair of the College of Examiners for USMCE (United States Certification Exams). As a conference presenter, she has presented on a variety of subjects at provincial, national and international conferences, including the Canadian Federation of Music Teachers’ Associations(CFMTA), Music Teachers National Association (MTNA) and the International Society of Music Educators(ISME). Ms. Frehlich has had articles published in the Canadian Music Teacher, American Music Teacher, Merge Magazine and The Canadian Family. As member of the CFMTA since 1995, she has continually served in numerous capacities, including national president and is currently chair of Professional Development and Research, and Public Relations. Patricia is recognized as a Nationally Certified Teacher of Music (NCTM) in the USA and has co-chaired two of MTNA/ CFMTA international conferences; the first in 2007 and more recently in 2017. In 1999 she founded Keyboards for Kids in Edmonton, a music program for at risk children in inner city schools, taught by qualified music teacher volunteers. This program, which continues today, has provided hundreds of children with free piano lessons over the past 18 years and has since expanded to two others centers in Alberta under her guidance. Ms. Frehlich has received numerous awards for her contributions to music education in the province of Alberta and throughout Canada, including recognition awards from ARMTA, AMEF and the Royal Conservatory, and the prestigious Distinguished Teacher Award from the Canadian Federation of Music Teachers’ Associations. Toronto-born Robert (Bob) Bruer brings decades of real-world music experience, having worked as a performer, teacher, music director and most recently, an accredited music therapist with the Canadian Association for Music Therapy. Bob holds an Associateship in Piano Teaching from the Royal Conservatory of Music, an honours degree in Music from Wilfrid Laurier University where he majored in both piano and voice, and a graduate degree in research from Washington University in St. Louis Medical School. Bob has taught piano, voice, theory, keyboard harmony, improvisation and sight-singing. As a vocal and instrumental accompanist, he has worked with both professionals and students. Bob’s experiences as a music director include choral leadership of award-winning church choirs and musical theatre work with both professional and amateur groups. Shows that Bob has provided musical direction include Chorus Line, Little Shop of Horrors, Nunsense, Dames at Sea, and The Adventures of Tom Sawyer. Joan Woodrow obtained her Bachelor of Music degree from Mount Allison University and went on to further her studies at Ithaca College, New York, University of Wisconsin, as well as Queen’s University, Kingston. Mrs. Woodrow has won numerous awards and scholarships, and was a frequent winner in both piano and cello at the Kiwanis Music Festivals. She also holds two Music Exhibitioner Awards from Trinity College of Music, London, England for the highest marks in Canada in Pianoforte playing. Mrs. Woodrow is also the chairperson of the advisory board for the St. John’s Kiwanis Music Festival, and is the Newfoundland and Labrador Provincial Advisor for the National Music Festival. She is an active adjudicator, having adjudicated extensively in Canada from coast to coast. Joan is also an examiner for Conservatory Canada. Catherine Gardner is Senior Director, Corporate Training & Development, Human Resources, CIBC. She is an experienced senior business leader with a progressive 30+ years financial services experience who has specialized in operations management, leadership & strategic planning, marketing communications, training & team development and information technology. Catherine brings strong business change & people leadership, relationship building, project and general management skills coupled with a passion for music and the arts; she is involved with community theatre and has been an avid ‘vocal’ student for a number of years. Mark Nelson completed a Cross-Discipline BA with a business major at King’s College, London, ON. He has completed several Microsoft Certifications. In the summer of 2000 Mark started his own computer consulting and service company called FULL Nelson Computer Services. The company assists organizations with the design and implementation of new policies, investigation and selection of relevant products, and at times informs and educates members of the Boards and Committees. Ongoing he is the liaison with third parties who supply software, hardware, or both, that integrate at a client’s site. Stephen Smith is Vice President, Finance, of Ideal Supply Company Limited. He holds a Masters Degree in Business Administration (MBA) from the Ivey School of Business, UWO. He is a Certified Management Accountant (CMA) and holds a Business Administration Diploma from Fanshawe College, London, Ontario. Mr. Smith is a regular guest lecturer at the Ivey School of Business, speaking to MBA students on analytical business applications for excel. He has served as Treasurer for Open Arms to International Adoptions, a non-profit international adoption agency. Ally Dhalla completed his Pharmacy Degree from the University of Toronto, Faculty of Pharmacy in 2006. Upon graduation, Ally worked as a front line pharmacist before becoming an Owner/Operator of a Shoppers Drug Mart in London, ON. In 2008, Ally joined London Health Sciences Centre as a pharmacist who specialized on Oncology Care. He was later promoted to the role of Pharmacy Manager, Ambulatory Services, where he oversaw the operations of Cancer, Retail and Renal Pharmacy Services. In 2017, Ally joined Mohawk Medbuy, a National Healthcare Organization as the Director of Pharmacy, Business Development. In this role, Ally actively works with Hospitals and the Pharmaceutical Industry to bring value based procurement into the healthcare system. Ally is currently working towards his Master of Business Administration (MBA) from the University of Fredericton. Gregg Bereznick has served public education for over 30 years as a Superintendent of Education, Principal, Vice-principal, Arts Consultant, and Instrumental Music Teacher. He is Past President of both the Canadian Music Educators’ Association and the Ontario Music Educators’ Association, past Editor of “The Recorder” and contributor to Ministry of Education publications as well as to various professional journals. He currently is an instructor at the Faculty of Education at Western University.